Should the principal be the CEO (Chief Executive Officer) with due qualification and degrees? Are owner driven schools, which look at the school purely as a business enterprise better than schools run by charities? Such questions always make us think and we do debate this matter often. Many good schools are owner driven and do not have the principal with the degree of an academician. What is most important however that the Principal / Head of the School should be the Chief Learning Leader. The learning institution is always in evolution and is able to understand the needs of the pupils and deliver to the happiness of all stakeholders. What is imperative is that the Chief Learning Leander (CLL) must understand that knowledge is not just information and acquiring of skills, but a road to infinite possibility and its growth alone is the single most need for an evolving mind. For the head to be held high, and true freedom be experienced, the learning institution must ensure that the CLL must be a person who leads by example. Just having a degree or certification is not enough, learning is a never ending process and this the only way to build schools that learn. In 'Schools that Learn', Peter Senge argues that teachers, administrators, and other members of school communities must learn how to build their own capacity; that is, they must develop the capacity to learn. From Senge’s perspective, real improvement will only occur if the people responsible for implementation design the change itself: “It is becoming clear that schools can be re-created, made vital, and sustain ably renewed not by fiat or command, and not by regulation, but by taking the learning orientation”. The Principal/ CLL as we describe the individual must be able to motivate, coach, inspire, teach, a mentor, be a visionary, ensure team work and above all lead by example. Education is simply building your own capacity, this must be the goal of each individual including the CLL. Senge makes a powerful argument regarding the need for a systems approach and learning orientation by introducing Schools that Learn with a historical perspective on educational systems. Specifically, he details “industrial age” assumptions about both learning — that “children are deficient and schools should fix them”, that learning is strictly an intellectual enterprise, that everyone should learn in the same way, that classroom learning is distinctly different than that occurring outside of school, and that some kids are smart while others are not — and schools — schools “are run by specialists who maintain control”, knowledge is inherently fragmented, schools teach some kind of objective truth, and “learning is primarily individualistic and competition accelerates learning”. These assumptions about learning and the nature and purpose of schools reflect deeply embedded cultural beliefs that must be considered, and in many cases directly confronted, if schools are to develop the learning orientation necessary for improvement. The Chief Learning Leader must set the tone for the growth and development of a dynamic school. The Chief Learning Leader must set the tone for the growth and development of a dynamic school. The world today offers great opportunity to learn and grow, information flow is no more hierarchical and knowledge today is in free flow mode. In the world without barriers and each one working to reach new frontiers in technology and learning, there is really no way that the school can do without a CLL. 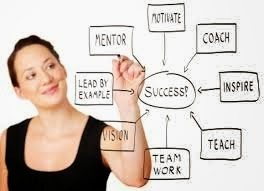 Be it the principal or the owner, they will only succeed if they work like a CLL. The business world CEO may have the KRA model and look at every outcome as a measure, this will have its' limitation in the working of a good school. The CLL will have priorities and will understand that the learning institution generates wealth that is far more than the simple surplus in an income an expense, and it is not the top-line that alone matters. Education thus is not a commodity but an infinitesimal wealth. The understanding of infinitesimals was a major roadblock and today the mathematical world has evolved and we have even begun to look at the creative infinite mind. The wisdom and the ability to be a learner is all that a CLL needs to be. Education thus is not a commodity but an infinitesimal wealth. Good governance and active participation of all stakeholders in a school - the management, the teachers, the community, the students and the head - is very much needed to build a learning organisation. The role of the CLL is indeed a complex one and no job description is perfect for the head of the school. 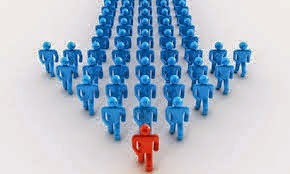 The leader must not be one decorated with a degree alone, it is imperative the leader must lead as the role so demands. Lead by example for the teachers, the students and the community. The CLL has to create a environment for learning and a culture of self discipline. In the corporate world a Chief Learning Officer (CLO) is the highest-ranking corporate officer in charge of learning management. CLOs can be experts in corporate or personal training, with degrees in education, instructional design, business or similar fields. The CLL as we describe the head of the school is even at a higher pedestal than the CLO. The CLL beyond being a person well versed in the field, must have knowledge of administration and be a good manager too. In 'Role of the Principal - Keys to Being an Effective Principal' Derrick Meador states "the role of the principal covers many different areas including leadership, teacher evaluation, student discipline, and several others. Being an effective principal is hard work and is time consuming. A good principal is balanced within all their roles and works hard to ensure that that they are doing what they feel is best for all constituents involved. A school principal is the primary leader in a school building. A good leader always leads by example. A principal should be positive, enthusiastic, have their hand in the day to day activities of the school, and listen to what their constituents are saying. An effective leader is available to teachers, staff members, parents, students, and community members. Good leaders stays calm in difficult situations, thinks before they act, and puts the needs of the school before themselves. An effective leader steps up to fill in holes as needed, even if it isn’t a part of their daily routine." Effective leadership is taking along with you all the stakeholders of the school. The key challenge for the CLL is to be able to lead as per the vision of the school, ensure there is good governance and quality delivery of education at the school. A large part of any school principal’s job is to handle student discipline. Most principals also are responsible for evaluating their teachers’ performance following district and state guidelines. Developing, implementing, and evaluating the programs within the school is another large part of a school principal’s role. A principal should review, remove, rewrite, or write policies and procedures every year as needed. Having an effective student handbook can improve the quality of education your students receive. It can also make a principal’s job a little easier. The principal’s role is to make sure students, teachers, and parents know what these policies and procedures are and to hold each individual accountable to following them. Having good relations with parents and community members can benefit the principal in a variety of areas. If you have built trusting relationships with a parent whose child has a discipline issue, then it makes it easier to deal with the situation if the parent supports the school and your decision. The same holds true with the community. Building relationships with individuals and businesses in the community can help your school out tremendously. Benefits include donations, personal time, and overall positive support for your school. It is a vital part of any principal’s job to nurture their relationships with parents and community members. Learning is a ladder with countless number of steps, we must keep climbing and this the most essential for the CLL. Set higher standards for yourself, then alone you will be able to lead schools that learn. The author of the article Sandeep Dutt takes the onus of the content and the opinions expressed are his alone. You may please email the author on sd@ebd.in for comments if any.